Back again for 2018/19 season, Loveland Ski Area is offering pre-purchase discounts on full-day adult lift tickets, adult lift and rental packages and adult lift and lunch packages. These tickets are only available with a three day advance purchase. If you are looking for tickets for today, tomorrow or the next day, you may still purchase tickets at the Ticket Office when you arrive. Available daily at 11:30am, the Half-Day Ticket offers 4.5 hours of lift access at a discounted rate. Colorado’s only flexible half-day ticket, the Flex Ticket provides skiers and riders lift access for any 4 consecutive hours at the half-day rate. Just ask for the Flex Ticket at any ticket window and you will be charged the full-day rate. Return the Flex Ticket within 4 hours and receive a partial refund! Everything you need for a great day on the slopes at the right price. 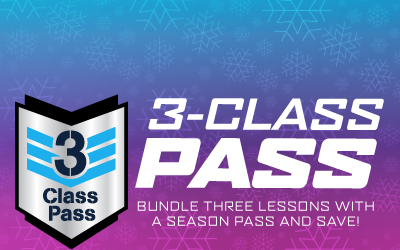 Available at the Sport Shop at both Loveland Basin (Main Mountain) and Loveland Valley (Ski School/Beginner Area), the package includes a full-day lift ticket, ski or snowboard rental, and all your clothing: jacket, pants, gloves, and goggles. For more info, please call 303-571-5580 x 117. 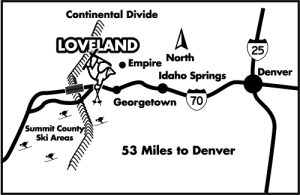 The Loveland Sport Shops have a limited number of Day Tripper Packages and they are available on a first come, first served basis, no reservations. We’re talking families, friends, schools and churches – grab everyone you love to be around and bring them up to Loveland. You’ll get special lift ticket discounts for groups of 20 or more people. Need rentals and ski school for your group? No problem, Loveland Group Sales can take care of all your group’s needs. Must book at least 2 weeks in advance. Contact Loveland Group Sales for details at 303-571-5580 x159 or CLICK HERE. Race teams looking for discounted lane training or free skiing tickets must contact the Loveland Ski Club (byamada@lovelandskiclub.com) prior to arrival. Discounts are only available through the Loveland Ski Club. Race teams are not eligible for group rates. These tickets are only available with a three day advance purchase. If you are looking for tickets for today, tomorrow or the next day, you may still purchase tickets at the Ticket Office when you arrive or at one of our offsite ticket locations on your way to the mountain. Lift 7 Tickets are a discounted lift ticket for beginners looking to sharpen their skills on the gentle slopes of Loveland Valley. The Lift 7 Ticket provides access to Lift 7 and our new Magic Carpet surface lift. Loveland Valley will close to the public on Sunday, March 31, 2019. 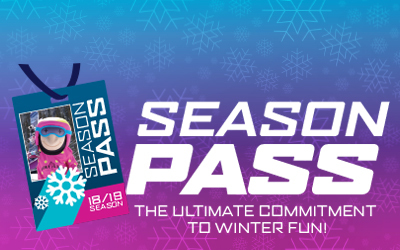 Colorado’s only flexible half-day ticket, the Flex Ticket provides skiers and riders lift access for any 4 consecutive hours at the half-day rate. Just ask for the Flex Ticket at any ticket window and you will be charged the full-day rate. Return the Flex Ticket within 4 hours and receive a $17 refund! Loveland offsite ticket sales are a great way to save some money on already affordable lift tickets. Available during the Regular Season only, offsite tickets can be purchased at a variety of outlets. Offsite tickets will be available December 16th. Plan ahead and pick some up before you get to Loveland; your wallet will thank you! CLICK HERE for a list of offsite ticket locations. We’re talking families, friends, schools and churches – grab everyone you love to be around and bring them up to Loveland. You’ll get special lift ticket discounts for groups of 20 or more people. Need rentals and ski school for your group? No problem, Loveland Group Sales can take care of all your group’s needs. Contact Loveland Group Sales for details at 303-571-5580 x159 or CLICK HERE. We’re talking families, friends, club members, co-workers – grab everyone you love to be around and bring them up to Loveland. You’ll get special lift ticket discounts for groups of 20 or more people. Need rentals and ski school for your group? No problem, Loveland Group Sales can take care of all your group’s needs. Contact Loveland Group Sales for details at 303-571-5580 x159 or CLICK HERE.